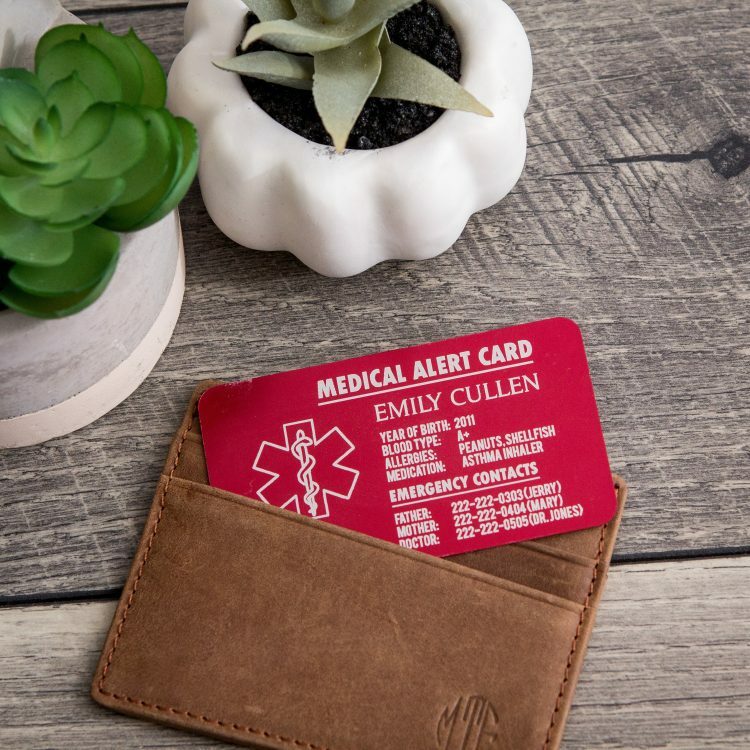 Stay worry-free and alert first responders of your medical conditions in situations where you are unable to! 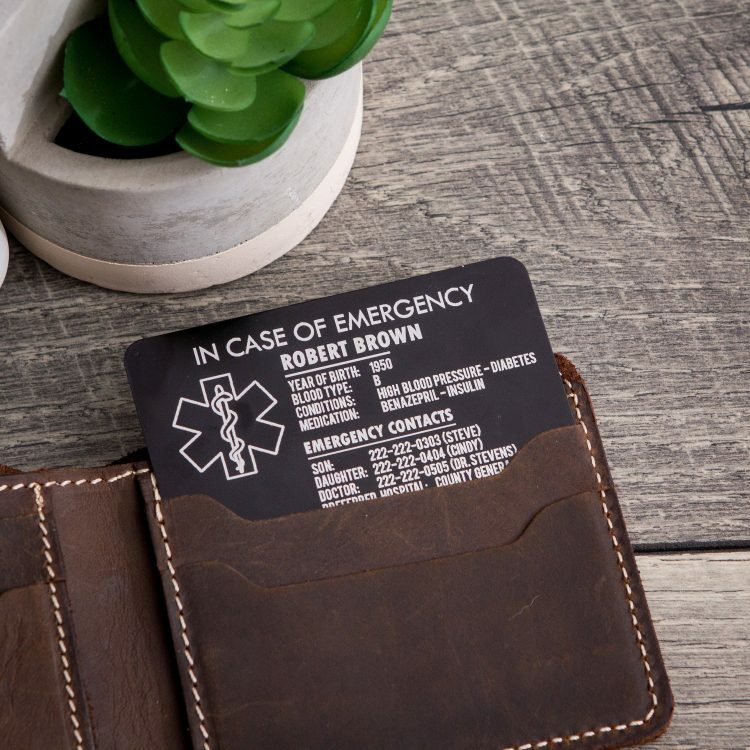 These durable cards are strong enough to prevent bending, yet a thin enough size to carry in purse or wallet credit card slot. – The card layout and template will appear exactly like in our product images. – Comes packed inside a burlap pouch – ready for gifting! 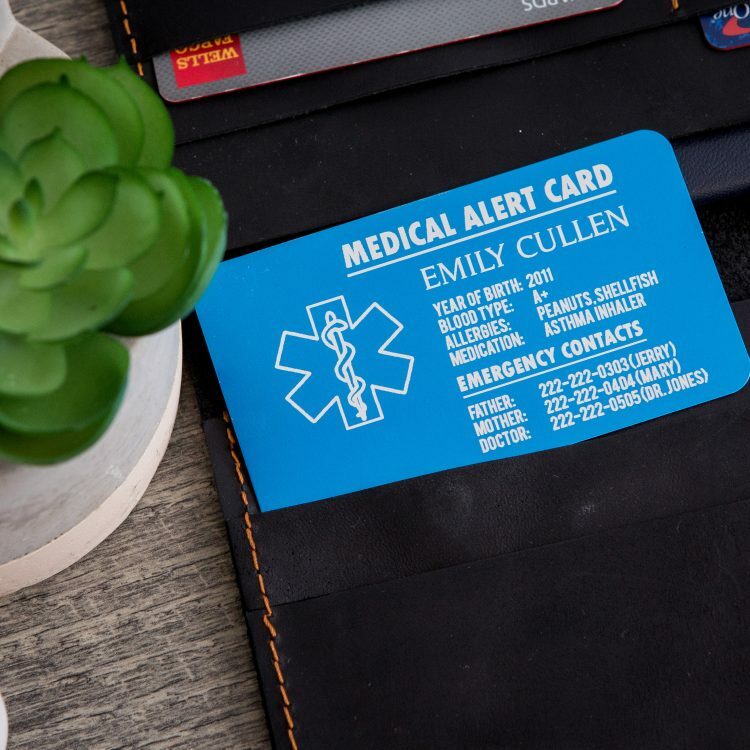 Name, Year of Birth, Blood Type, Conditions/Allergies, Current Medications, and 1-4 Emergency Contacts that you would like to have reached in case of an emergency. Since every individual’s personal information differs, we will design and space all information out evenly so that it can clearly be read. We will send you a design mock-up with all of the information that you give us for your APPROVAL to ensure every detail is correct. Please keep an eye on your inbox because we will only proceed with production after we receive your approval. We take confidentiality very seriously. Under no circumstances will your personal information from your medical card be given out to anyone. ♦ Please contact us for any questions! We typically respond within 24hrs M-F. All messages received over the weekend will be responded to on Monday.